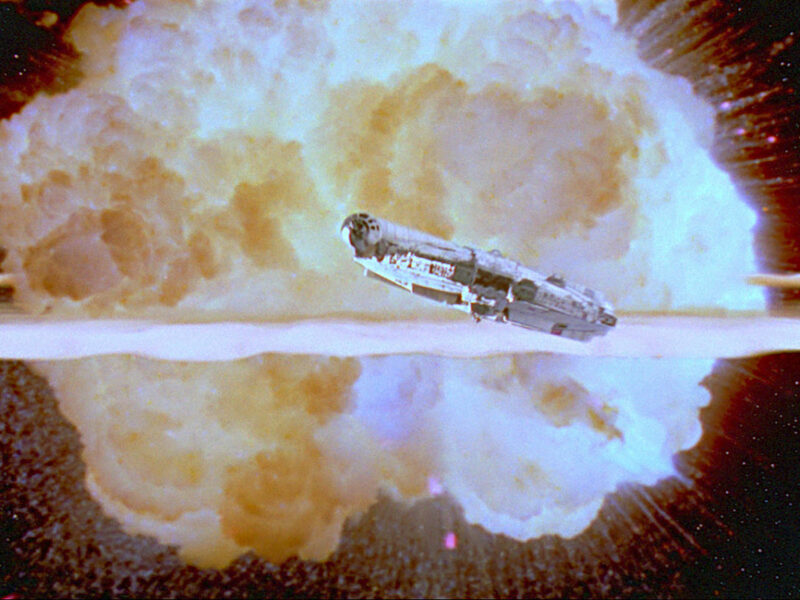 After the golden age of Star Wars that was the ’90s — a return to the public consciousness that rivaled its heyday of the late ’70s and early ’80s and banished the shadow of the Dark Times — Star Wars was ready to enter a new era of prominence that would both unite and divide an increasingly broad fandom. By the late ’90s, that fandom crossed multiple demographics and encompassed followers of various formats of media including roleplayers, computer gamers, action figure collectors, book readers, and comic fans. It was the era of the prequels. The Phantom Menace hit North American cinemas on May 19, 1999, — and here in the UK on 16 July 1999 — but the path to the prequels began much, much earlier. Fans know that the thematic seeds that evolved into the prequels were the backstory of the original trilogy, always promised as the first in a three-part trilogy. 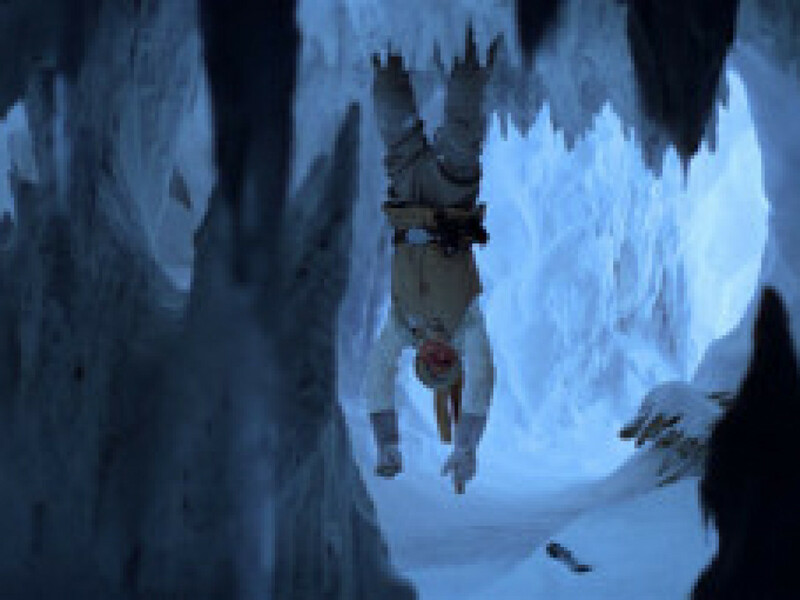 Variety announced the coming of the prequels in 1993 and Lucas began writing Episode 1 — The Beginning in November of 1994, but it was still hard for fans to believe that after so many years, Star Wars was truly returning. 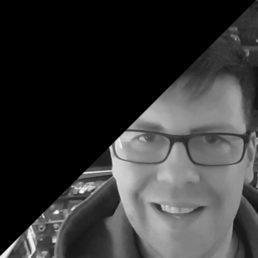 The release and success of the Star Wars Trilogy Special Editions in early 1997 and Episode I casting confirmations announced right here on starwars.com put it beyond doubt. 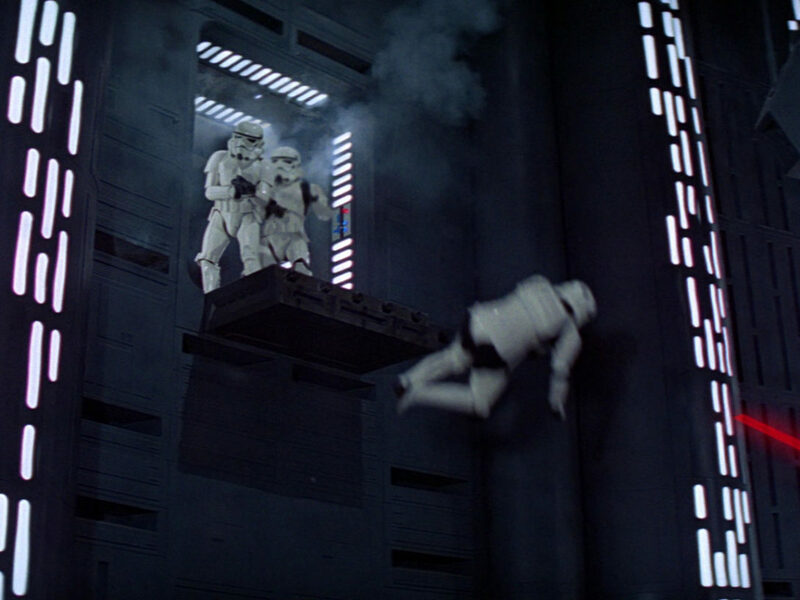 Star Wars was on its way back to the silver screen. In parallel with 2013’s announcement, it was confirmed that Star Wars would also be returning to the UK, but not to Pinewood — rather, it would head to Leavesden. A former aircraft hangar, Leavesden had been home to the 1995 return of James Bond in Goldeneye and would soon go on to become the home of Harry Potter. 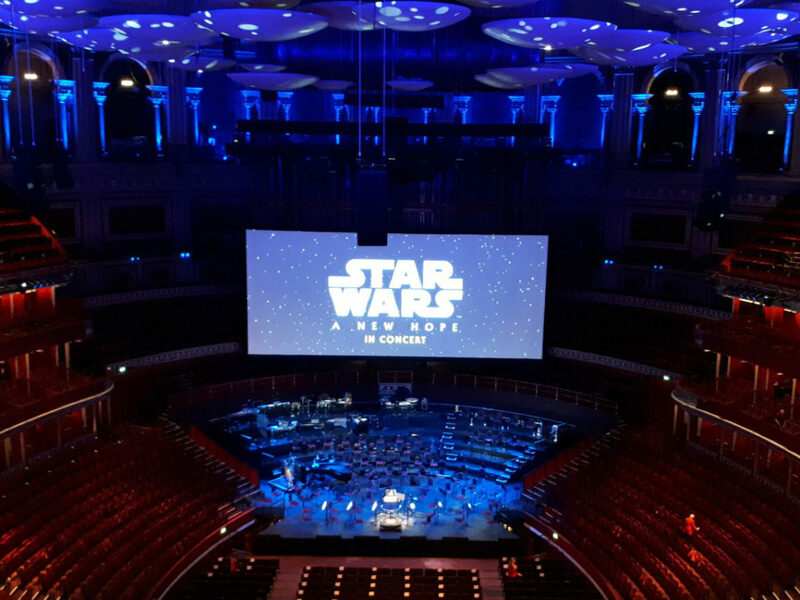 The cast was filled with a number of familiar and rising British talents who would soon become household names…well, household names to fans of a galaxy far, far away at least. By 1998 Star Wars fandom was in a good place, as was sci-fi in general. Star Trek series still ruled television and prospered at the cinema, Buffy was enchanting viewers in her second season and on the big screen Armageddon, The Truman Show, and Dark City were flying the flag for sci-fi. 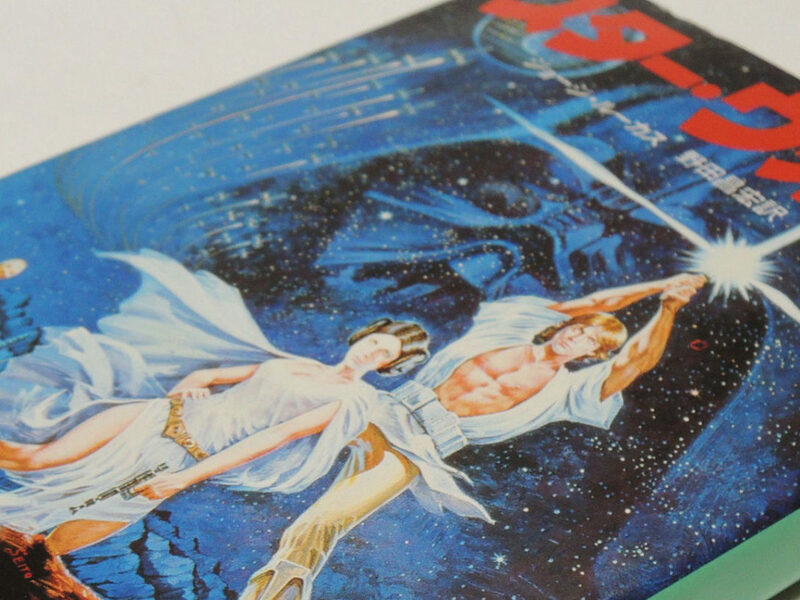 Here in the UK, Titan’s Star Wars magazine was going from strength to strength, riding on the high of the Special Editions and the ever-increasing wave of product coming to fans, and all the while we knew for certain that more was to follow. 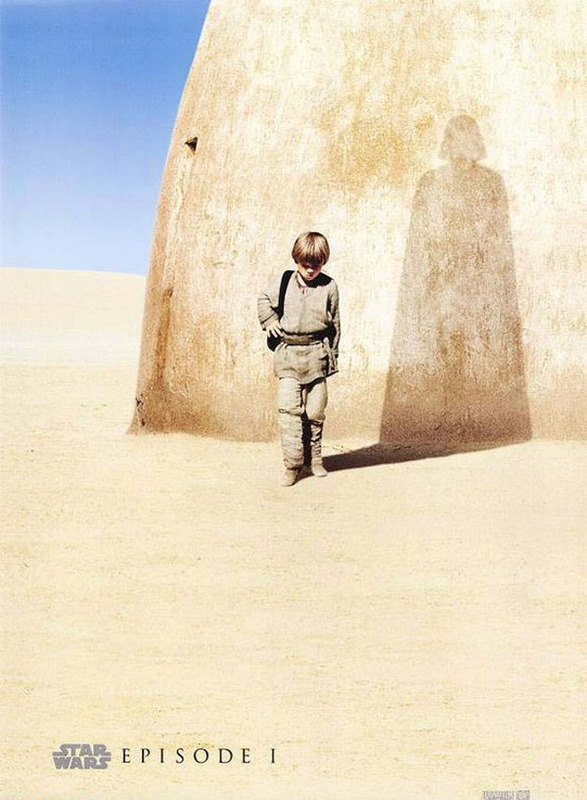 On 10 November 1998, the first teaser poster, featuring young Anakin Skywalker and the shadow of Darth Vader was released, but the 17 November release of the first teaser trailer changed everything. Anticipation, already at fever pitch, was raised to almost hysterical levels as our first glimpses of new Star Wars footage for a generation were screened. Here in the UK the mania that had greeted the US teasers was matched as we saw our first sight of Jar Jar, Gungans, Darth Maul, and much more. And as we rolled into the final year of the 20th Century, Drew Struzan’s 11 March poster was released, to be followed the next day by that first full, record-breaking trailer. There was little that could stop the excitement. 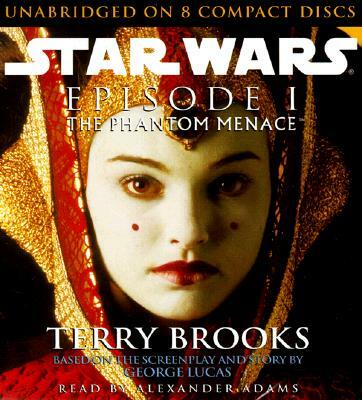 The toys hit shelves, the infamous soundtrack album from Sony Classical revealed the fate of Qui-Gon, Terry Brook’s novel was available, the Making of The Phantom Menace, the unabridged audio book, the fast food tie-ins…and then the film. 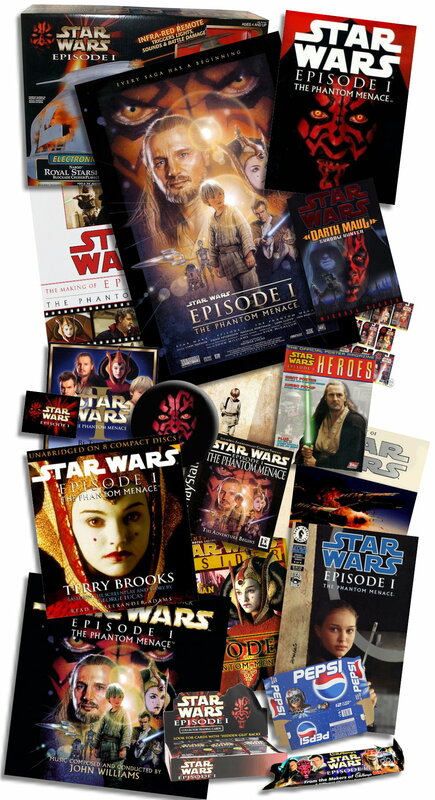 But the theme of this series of blogs is Star Wars in the UK, so what was unique about the arrival of The Phantom Menace for UK fans that made it any different from the States or anywhere else? Well, for a start we got the film two months later in July, back in the days when Internet piracy was but a growing concern for the industry. UK website Phantom Mania was one of the sites behind an exodus of 3,500 British fans (myself included) who traveled to the States to see the film on 19 May, joining the infamous countingdown.com line of near 10,000 fans. Premiering on Leicester Square in July, the stars of the film were out and while critical acclaim for the film was thin on the ground, the public voted with their pocketbooks, making the film THE hit of 1999. Titan released a series of poster magazines (a welcome return reminiscent of the poster mags that accompanied Star Wars, Empire and Jedi), as well as releasing a series of UK reprints of Del Rey products that had hit US shelves back in late April. By this time Kenner had become a part of Hasbro and the European releases of the action figures were hitting the pegs — a wave of figures that would dominate stores for many months. On television, to coincide with the release of the film, many members of the cast and George Lucas himself spent a week on Channel 4’s The Big Breakfast, clearly enjoying themselves and the laid-back atmosphere of the show and for the better part of the summer TV ads were littered with Phantom-related trailers and TV spots. Cadbury released Star Wars chocolates, there were Jar Jar chewy sweets, Walkers crisps (Frito in the States) did a tie-in promotion, as did Pepsi and 7UP. Star Wars was everywhere. It’s common to see the unfairly negative reaction the first prequel engendered but rarely is it acknowledged what a game-changer it was for the blockbuster industry. Digital backlot, lead animated characters, digital editing, monstrous advances in CGI technology: all things brought to the fore by The Phantom Menace. At the 2000 Oscars, the film, nominated for three Academy Awards (Best Sound Editing, Best Visual Effects, and Best Sound Mixing) took home none, trumped by the flash-in-the-pan bravado of the Bullet Time effect from the year’s other great sci-fi epic The Matrix. 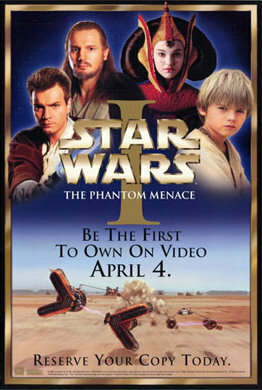 On 3 April the film arrived on VHS in the UK, breaking records once again as stores opened at midnight to accommodate crowds, and on 16 October 2001 it became the first Star Wars film to hit DVD, once again smashing records. 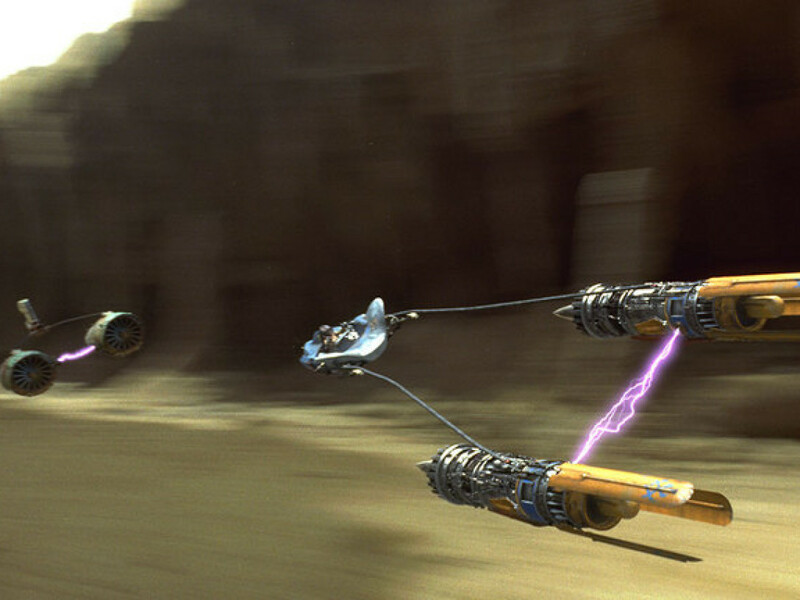 Dividing not only cinema goers but sci-fi and specifically Star Wars fans themselves, The Phantom Menace was a unique moment in movie history. One of the giants at the box office (and thanks to the 2012 re-release in 3D one of only a handful to gross north of $1 billion), it set the template for the two prequels that followed, made on a generous but tightly controlled budget, designed down to the last lick of paint, nail, and pixel to entertain.